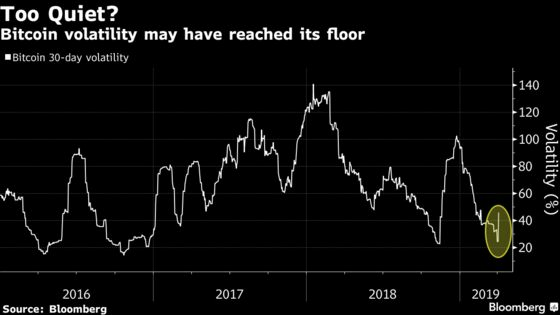 (Bloomberg) -- An abrupt surge in Bitcoin sent the world’s most popular cryptocurrency to the highest level since November, jolting the $160 billion market for digital assets after three months of calm. 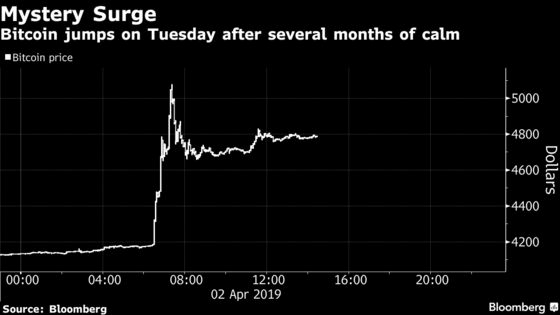 Even after paring some of its gain, Bitcoin was trading up 15 percent at $4,737.59 as of 11:35 a.m. in New York. Rival coins Ether, Litecoin and Bitcoin Cash jumped by double digits. Cryptocurrency-linked stocks including Remixpoint Inc. and CMC Markets Plc advanced.